I was born during the “Big Bang” of video games. But in my 28 years, console developers have made extraordinary improvements to game play from graphics to controls, and now of course, there’s online play. When I was a child, fighting my way through “Double Dragon” on the NES, never would have I thought the age of video games would be this far advanced, or perhaps more importantly, socially connected. Online play allows users from all over the world to interact, connect and play video games. It’s like one big arcade without all the quarters. 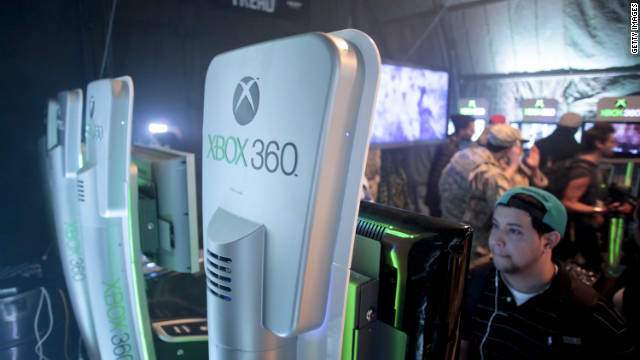 Now consoles, such as Microsoft’s “Xbox 360,” are diving into the world of streaming video and digging deeper into social networking. This was one of many interesting mass communication stories announced this week, and for this post, I wanted to touch on this and a few other news items within this platform that you may have missed. Info: This new update will allow for Xbox 360’s 57+ million users to use the “Kinect,” a motion-sensing device, to access content and apps through a “universal, voice-directed search” using Bing. Apps will include streaming video from apps developed by HBO, Netflix, MSNBC, Ultimate Fighting Championship (UFC) and Major League Baseball to name a few. This is Microsoft’s attempt to create a one-stop hub for viewing television, the “future of TV” as it dubs the move. What it could mean: Providing new advertising opportunities. To name a few examples: Commercial breaks in between streaming content, pop-up ads like you might see on YouTube or even a voice-activated search to locate advertisers. Info: Thought radio was on the decline? Not according to Arbitron, which reported Monday, Dec. 5, that radio added 1.4 million weekly listeners compared to December 2010. Arbitron, which measures network and local radio audiences across the nation, also reported 241.3 million listeners from 12 years and older tune into the radio each week. What it could mean: That radio looks to continue to be a top-notch broadcasting and mass communications medium. Diversity among listener base also is growing meaning advertisers can reach a wider spectrum of people. The thought that radio is a dying breed should be quelled…for now. Info: This was announced Thursday, Dec. 8, and along with a new comprehensive design, Twitter now joins the ranks of Facebook and Google+ in competition for allowing brands to better market their products or services. According to Advertising Age, the design also allows for two new free features — customization for large header images with a more visible tagline, and the choice for brands to keep certain tweets at the top of their feed. This tweet also allows for auto-expansion to show an embedded photo or video from various sources. What it could mean: Should allow for a brand’s voice to be heard more clearly and contextually. Only a select few will get to test out the new design with availability expanding in the coming months. An unanswered question on the date of this posting is “Will current brands be able to convert their Twitter profile to a “Brand Page?” We shall see. With the addition of “@” replies and “mentions,” brands will be able to optimize their customer service availability more coherently than with the previous version. It also keeps Twitter in competition with social networking sites such as Facebook and Google+, not that it needed to really with 200+ million users, but the idea is fresh. Info: Facebook announced Wednesday that it’s lifting the ‘beta’ tag from its new “Timeline” platform and releasing it into the wild, so to speak (before this, ‘beta’ users could only see other ‘beta’ users Timelines). Timeline will allow for archiving and organizing a user’s life. 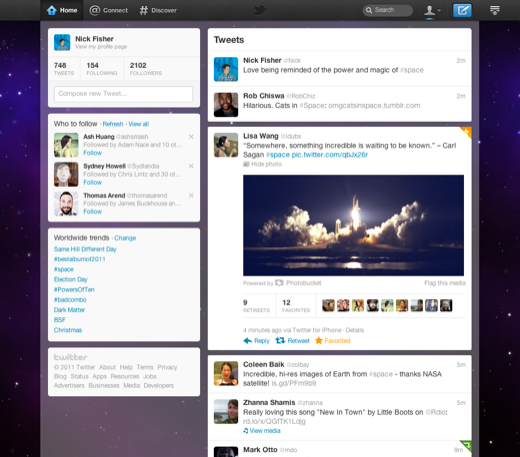 New apps will accompany this feature and the new design features a large picture as a user’s profile page header. Its template will allow users to get creative with designing their profiles. However, this rollout, was first released in New Zealand only. What it could mean: That there could be lots of griping about the changes because that’s what Facebook users like to do sometimes. This change, at least, has been more publicized than most. But as usual, expect users to adapt to the change and roll with the punches. Some gripes could be with privacy issues, a valid argument. Does Timeline allow too much access to a person’s life? Privacy issues have plagued Facebook before and it’s still the leading social network. Also, this feature is not available for Facebook’s Pages format…yet. Brands will have to wait, but this template could add throngs of design ideas, etc. Now if Facebook can get past its Timeline legal issues and exterminate all of the bugs. How did you react reading the above information? How does any of this information intrigue you? ← Win an Apple iPad 2 from dr2marketing! Since a contributing factor to death isn’t officially announced, perhaps Mr. Jobs died of boredom in the iPhone 4S announcement? … What, too soon? In all seriousness, a visionary, a pioneer, and a leader the skin loses. Rest in Peace, Steve; you will end up missed by many people. My condolences to his family too.